NUK® Latex Teats with a super soft end that optimally adapted to the baby's oral cavity. The NUK® Anti-Colic AIR SYSTEM minimises the risk of infant colic. 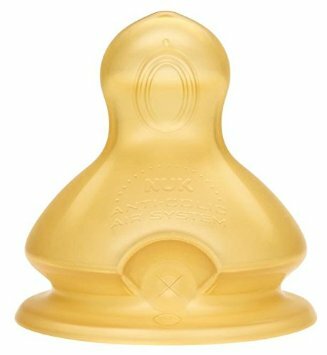 Please note that the product listed here (see image above) is a Wide teat and is suitable for NUK Wide Neck bottles only. If you have a Standard width bottle, it is the Standard teat (see image below) that you require.